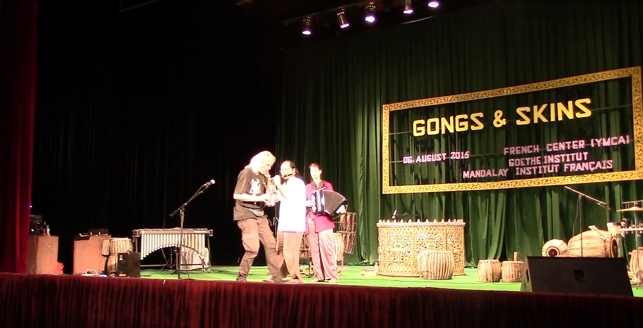 JOPO, Ingeborg Poffet and Yii Kah Hoe met during the int. 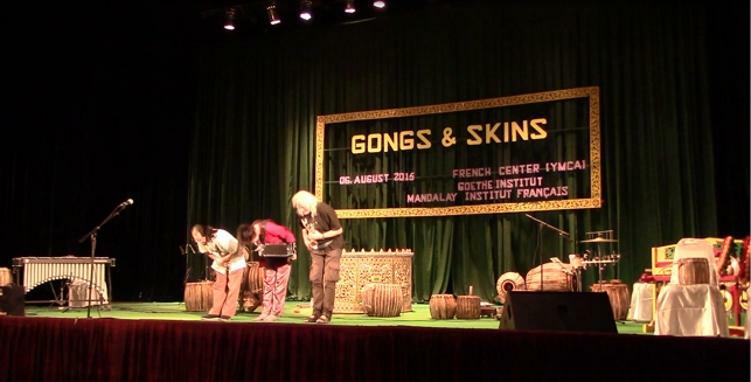 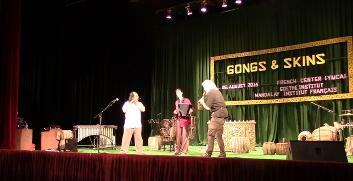 GONGS & SKINS festival 2015 in Myanmar. 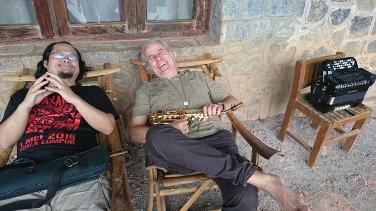 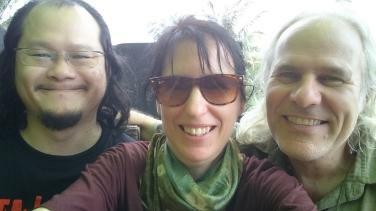 Being composers and improvisers, the three musicians wanted to work out a program for the running festival. 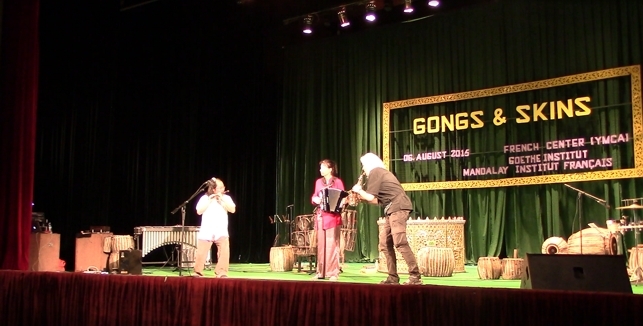 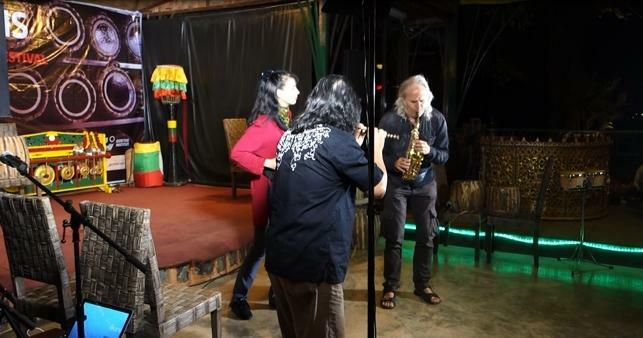 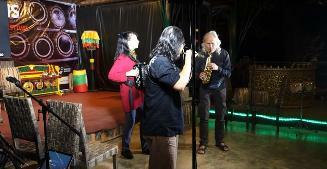 So they have played at two concerts in Ayethaya-Vienyard as well as at the final concert of the festival in the National Theatre in Mandalay. 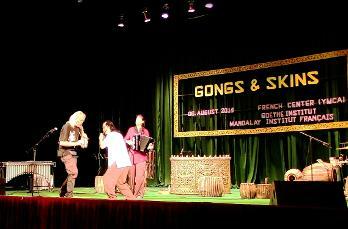 Having great success, they want to go on with the collaboration work.